Starting off with the top solution, the Hopper 3 is the world's most powerful HD DVR. It makes complicated things easy and reinvents the way customers watch TV. Some of its biggest features that stand out above the rest are (1) the ability to watch or record up to 16 shows at the same time, (2) the capability of supporting 7 TVs in one home, and (3) its built-in capacity to view 4K content. Even outside the family of Hopper receivers, the Hopper 3 stacks up well against some of the industry's direct competitors. Let's briefly take a look at a side-by-side comparison. Information in chart is provided by the 2018 DISH Reference Guide. *AutoHop feature is available at varying times, starting the day after airing, for select primetime shows on ABC, CBS, FOX, and NBC recorded with PrimeTime Anytime. Both features must be enabled and are subject to availability. DirecTV and Xfinity data valid as of May 2018. **Recording hours vary; 500 hours based on HD programming, 2,000 hours based on SD programming. ***Requires Internet connection and compatible mobile device. As you can see, the Hopper 3 has a serious lead on the other most competitive receivers. You could even say it is years ahead of the competition even after its official release two years ago in 2016. No one else comes even close to the outstanding technology of the Hopper 3. When considering the rest of the Hopper receivers, take a minute to review the chart below to quickly see the main differences. 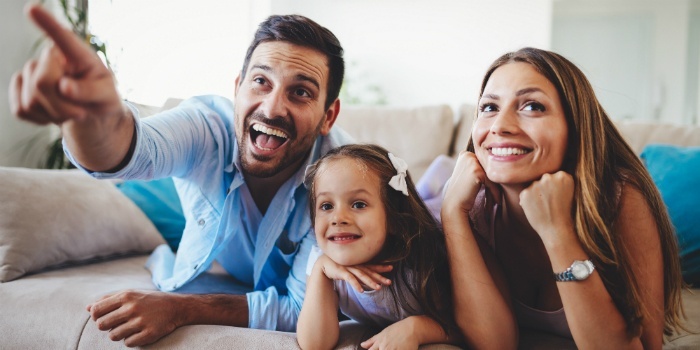 Some families may not want or need all of the features of the Hopper 3, but they'll definitely find what they're looking for amongst all of these awesome DVRs from DISH. *Up to 6 simultaneous recordings when the Primetime Anytime feature is enabled and recording primetime content from ABC, CBS, NBC, and FOX. **Requires Sling Adapter, sold separately. ***With Bluetooth Adapter, sold separately. With DISH, any customer can watch TV in a personally customized way. It's easy to keep the family entertained with plenty of storage space and a variety of viewing options from any of the Hopper receivers. If you're interested in getting set up with DISH's satellite TV service, we recommend reaching out to a local DISH Authorized Retailer. You can find one close to you by going to https://www.dish.com/find-retailer/ and they'll be able to answer your questions. If you're interested in selling DISH in your local community, that's where RS&I can help. We're a master sales agent and distributor for DISH Network and we help small businesses succeed in their surrounding area. Feel free to contact us with any questions. DISH is the place to find the best lineup of DVR receivers!